Formed in 2001, The Formosan Fat Tire Association was a coalition of expatriates and Taiwanese that had a wonderful singular passion: a love for riding off road mountain bikes on the wonderful, exotic, and adventurous island of Formosa. With a core group of riders including Dennis Flood, Chris Hess, Patrick O’Leary, and Geoff Quirk, the FFTA set out to humbly document their riding experiences on the island, whether it was in the wilds of Hsinchu County, or right on the edge of their home base in Mucha, on the outskirts of Taipei City. With seasoned photographers and website designers in the core group, the FFTA site grew organically throughout the years and simply represented all the visual goodness that Formosa was holding up in them steep hills; super epic trails with draw dropping scenery, and a local riding culture that made all of us feel so welcome through the years. Simply put, we all experienced memories that will sustain us for a lifetime. For this reason and many more, we continue to be so grateful to this island and its people. It continues to be a very special place to all of us. In 2005, the last of the original FFTA expatriate crew rolled out of town for good and the once very active FFTA became static. The site is now a living artifact to what the FFTA crew rode and experienced from 2001 to 2005. It is hoped that this site continues to inspire others to ride the local trails of Formosa, and to spread the simple act of riding great trails with good friends. We are ecstatic to hear that there are still many Fat Tires rolling around in Taiwan and that the off road scene is as strong as ever. 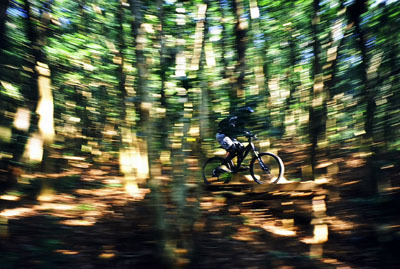 How lucky you are to be riding a mountain bike in Taiwan. Enjoy the ride! 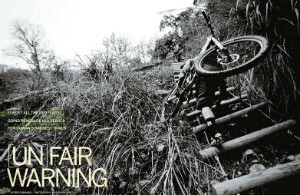 Make sure to grab a copy of the September/October 2011 Bike Magazine - they've got another great article about the Taiwan mountain biking scene. Story by Bruce Minnigh, photos by Anthony Smith. © Formosan Fat Tire Association 2000-2019. All rights reserved. Site by Dennis Flood.